We promise to ensure a lower impact on the environment when disposing of your commercial and domestic junk, clear it waste now offer a unique recycling service which allows a customer to dispose of any rubbish the desire leaving it to clear it to recycle for you. Now with over 80% of rubbish taken being recycled clear it has gone green. Generation of rubbish is increasing in tandem with the increase in population and expansion of urban lifestyle. This increased amount of junk is putting pressure on limited land resources, making the environment toxic and endangering human civilization. This calls for recycling of rubbish. There are recycling companies in London who are specialized in recycling. Many of the waste recovered from households, hotels, and business premises can be recycled and reused. Let us look into different categories of recyclable material, their impact on the environment and how they can be recycled. Most of the aluminum foils, tin cans, and steel cans that come with foodstuff or drink can be recycled and put to good use instead of ending in landfills. Aluminum is a heavy metal and is increasingly being blamed for heavy metal poisoning in children through food. As more and more of the metal is finding its way inland and the ground water is absorbing some of these. This is being routed to the human body through vegetation and even animal meat. However, most of the aluminum can be extracted and reused in making cans and foils. Most recycling companies UK including we are experienced in recycling such metal junk. Corrugated cardboard from a plethora of packaging, paper from magazines, newspaper, rubbish paper from office, paperboard, cartons containing several kinds of juices, and unsolicited mail make up a large portion of household and commercial garbage. The juice cartons contain some amount of polyethylene which is nonbiodegradable and ends in landfills permanently. However, the whole stuff including the polyethene can be recycled. The plastic coating can be made use of in producing paraffin or to generated energy. The paper can be recycled to produce paper. 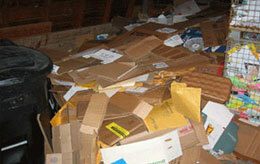 We collect all household, commercial and office paper and cardboard waste and ensure recycling of all the material. Damaged or discarded glassware form a major chunk of household and hotel waste, but the note of optimism here is that most of it are recyclable. White glassware can be recycled to produce glassware of any color. However, colored glass which is produced by adding several metals like chromium, iron etc to white glass cannot be used to produce white glass or other colors. However, specific colored glassware can be recycled to produce glassware of that color. We are experienced in providing recycling services for almost every kind of glassware. Plastic is not biodegradable and clogs waterways and end in landfills. However, most of the plastic items can be recycled to produce more plastic. Plastic products such as coffee cups made with polystyrene, take out containers, syrup bottles, yogurt containers, squeezable bottles and bread wrappers, shampoo and dishwashing detergent bottles, milk jugs and juice bottles, soft drink bottles and water bottles are recyclable. However, some products like large volume water bottles, DVDs, CDs, sunglasses, nylon products etc cannot be recycled. 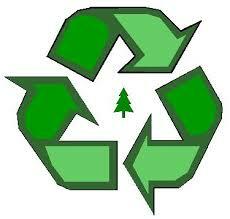 We are experienced in recycling most of the plastic items in the household and commercial garbage. Computer and IT peripherals are a toxic junk and need to be recycled so that only a small amount of it ends up in incinerators or landfills. We have staff who have experienced in computer recycling London and able to recycle all computer and IT garbage according to the WEEE regulations.